Enter the world of analog synthesised percussion. 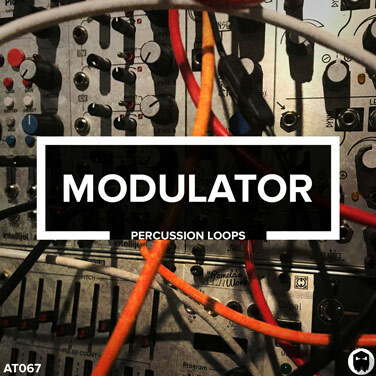 Modulator includes 107 modular synth percussion loops. Sequenced and programmed inside a first-class collection of Eurorack modules. Each one of the 126 BPM loops delivers a new texture and intimate analog vibe. Drag and drop into your DAW for instant results. Now it’s your turn to hear Modulator. Inside the download you will receive 107 percussion loop samples. All recorded at 126 BPM and in pristine 44.1kHz 24 bit WAV.